De Stijl, Dutch for "The Style", also known as neoplasticism, was a Dutch artistic movement founded in 1917. In a narrower sense, the term De Stijl is used to refer to a body of work from 1917 to 1931 founded in the Netherlands. 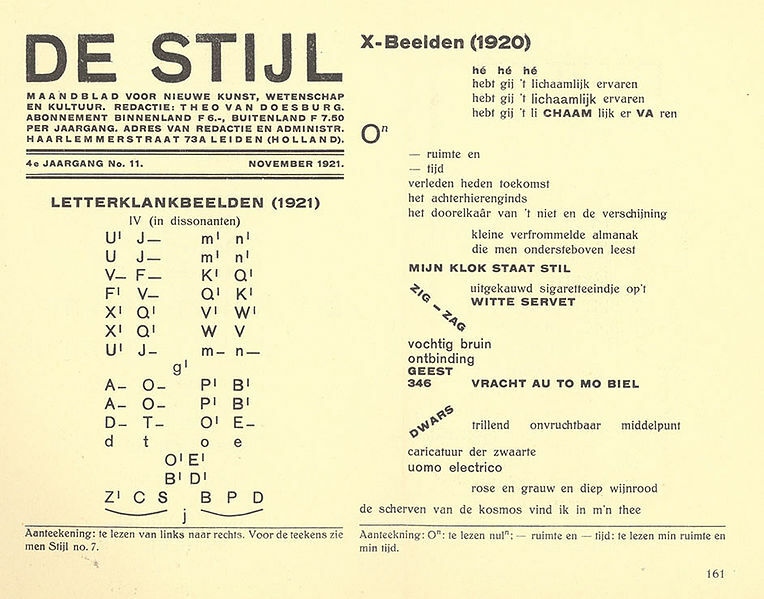 De Stijl is also the name of a journal that was published by the Dutch painter, designer, writer, and critic Theo van Doesburg (1883–1931), propagating the group's theories.